X-Small (0-6 months) - $59.99 Large (18-24 months) - $59.99 Only 2 left! Finally, a little mouse that we're glad to have in the house! Your baby will look oh-so-sweet in this Infant Lil Mouse Costume. It's cozy, and cuddly, and even comes with a foam piece of cheese. We just hope your little one doesn't get too accustomed to mousing around, because when they get a little bit older, they're not going to be able to fit in all of those mouse holes! 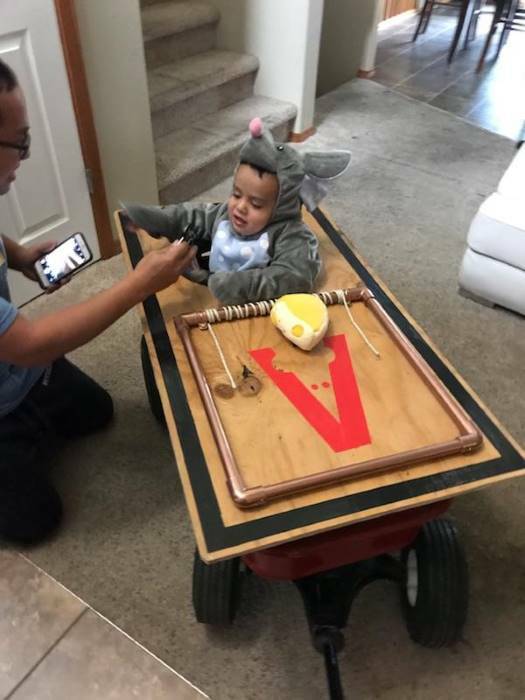 When your infant goes in this adorable costume, you'll be happy to have a furry critter to carry around. 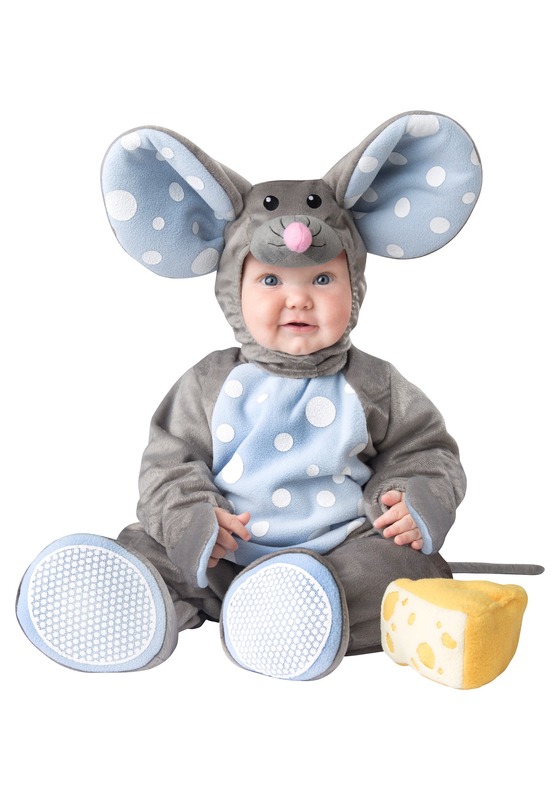 Coordinate this cute mouse costume with mom and pops to have a family of furry critters, or coordinate with siblings or playdate friends to have a whole posse of cute little mouse faces. Whether your child is in a group or dressed up solo, they're sure to look great in all of those Instagram shots when they go in this look! Fully line, this comfortable romper suit is made of 100% polyester velour. The zip up and Velcro closures means you'll be able to get your little one in and out of this jumpsuit with ease, and simple headpiece with over-sized ears coordinates with non slip footies for a head to toe cute critter style. Outfit your boy or girl newborn with this adorable look, and get ready to make your little one even cuter! Great quality, love the cheese.